← Cod, Caplin & Quilts not the only art found in Raleigh – Taylor’s Crafts a Must Visit! 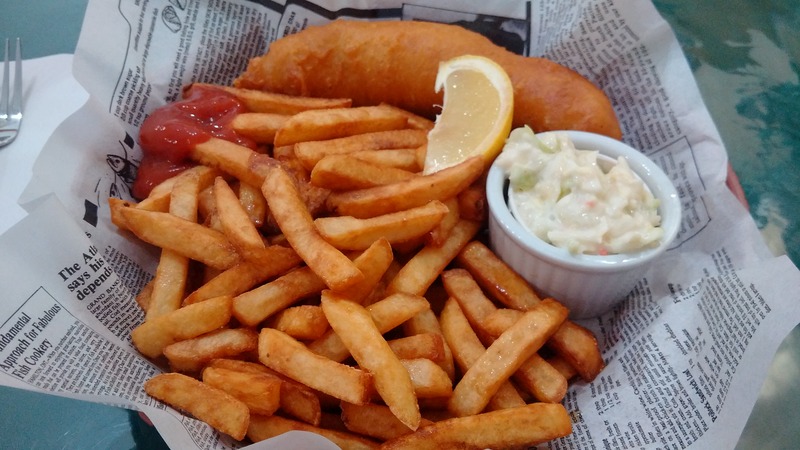 Anchor Cafe, Port au Choix serves savouring seafood dishes! I’ve been to Anchor Cafe a couple of times this season and have continued to enjoy favourites like their seafood chowder, mussels a la Byron and deep fried halibut and chips. They are continuously ranked as a place to eat in Canada by TripAdvisor, Fodor’s and many other travel companies. 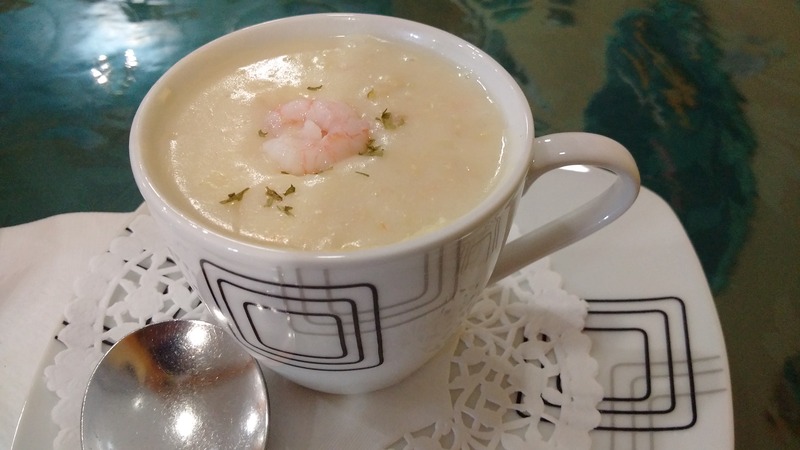 A cup of their seafood is garnished with shrimp, caught locally in adjacent waters. In fact, the OCI shrimp processing plant is literally across the street. A great appetizer before a main meal. 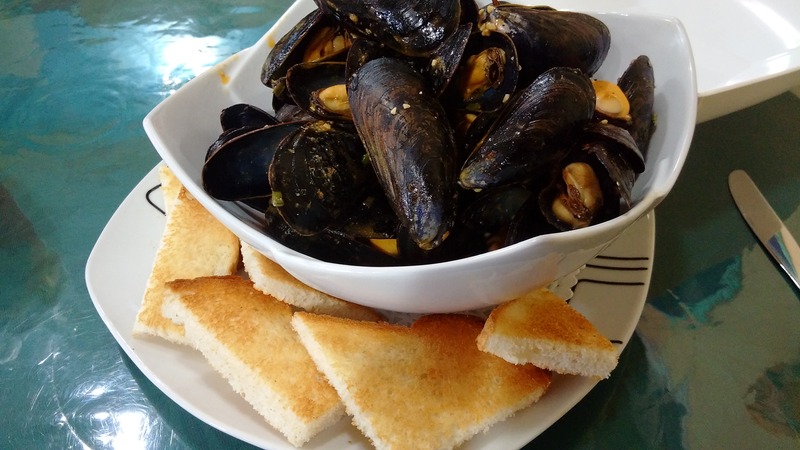 The mussels a la Byron is an all time favourite of mine at this restaurant as it adds a nice spicy flavour. The remaining sauce is great for dipping with toasted or French-style bread. On my last visit, I dropped by for a quick lunch and was greatly impressed by the deep-fried halibut, as it was cooked to perfection. The newspaper adds a nice touch, but we warned if you eat all the french fries you likely will not have food for some home-style desserts. The restaurant has a great nautical-theme with lots of fishery and ocean things, including artwork of local folk artists, Ben Ploughman. The reviews validate the quality of food, atmosphere and service. Next time you are in Port au Choix you may want to visit the Anchor Cafe. There are many other attractions, including the Philip’s Garden Walking Trail, Point Riche Lighthouse, The French Rooms & Oven, Port au Choix Natural Historic Site, fishing, nature and so much more. The sights and surroundings certainly are as savouring as the seafood! Enjoy your time in Port au Choix. 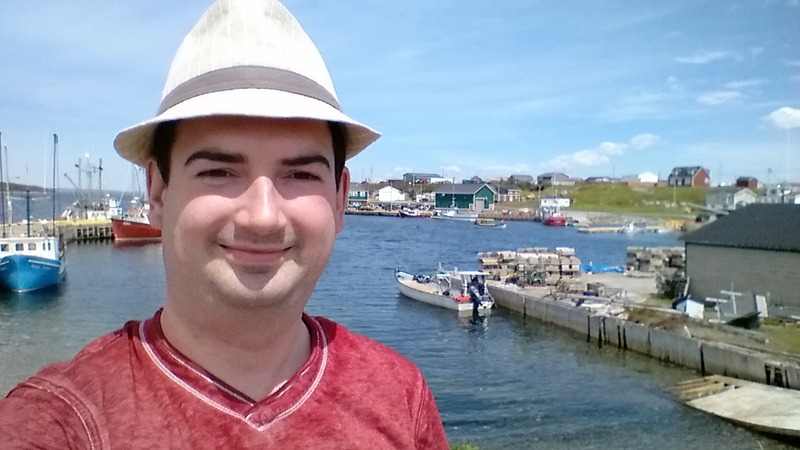 Posted on August 9, 2015, in Art, Business, Cuisine and tagged anchor cafe, ben ploughman, Chowder, Fishery, folk artist, Food, Great Northern Peninsula, lighthouse, menu, Mussels, Newfoundland, point riche, Port au Choix, seafood, shrimp, Travel & Tourism, walking trail. Bookmark the permalink. Leave a comment.